Hello, and a marvelous March to you! Welcome, or welcome back, to my newsletter. The photo of me above was taken a few years ago by a friend who is a professional photographer. We had met unexpectedly in a lush woodsy setting. I'm happy being surrounded by so many trees and feeling the misting rain on my skin, knowing I'm part of Nature. Today's issue has 2 articles, the first on vision and looking at details. The second is about cartoon-like dreams. Enjoy! 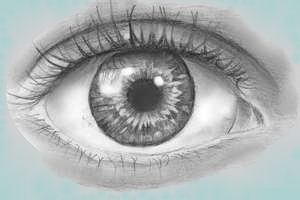 To people starting vision improvement, the concept of central fixation is often confusing. They'll say: I thought I wasn't supposed to stare -- "fixate" sounds like locking my gaze in place! No. The idea is, as Dr. Bates said, "to see best where you are looking". This simply means your central vision is clearest, yet you're still aware of the periphery. These instructions tangled my logical brain when I first tried to follow them. I found myself trying to see the central area of my vision most clearly, and trying to see the periphery at the same time. This was way too much strain! I felt like the class dunce, knowing I was doing it wrong, but just not being able to get it. What finally started me practicing central fixation correctly was the simple awareness that it is merely paying attention to details. All I had to do was easily look at the smallest areas I could identify, and let my gaze roam over them. That's it! Easy peasy. Then I looked for even smaller details, the window on that faraway house, someone inside the window looking out. Details make life rich and rewarding, those tiny, often subtle nuances which decorate the big picture. See what details in your surroundings your eyes can find. Might there be smaller details yet you've been overlooking? For more on my experience with learning about looking at details, click here. 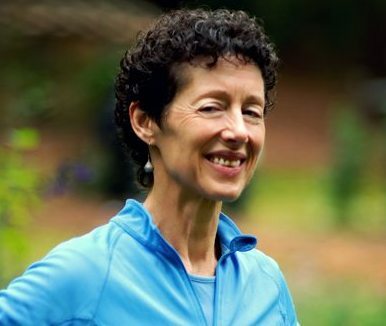 If you're interested in exploring and improving your own looking habits, consider a Vision Coaching session. I'd love to work with you. Dreams: What if my dream is a cartoon? A friend asked me this recently. I reminded her that since it was her dream, she was the expert on it, not me, though I did have a few thoughts. First, cartoons make me think of childhood, so I wondered if these dreams were carefree and joyous. She said yes, she did remember a cartoon dream of romping in the ocean with sea animals, which felt playful and child-like to her. My second thought was not as happy, as I remembered some of my own dreams. I said if the dream was centered on a serious or painful matter, it might be presented to her as a cartoon to soften the message, to keep from scaring her or dragging her deep into a memory of an old trauma. 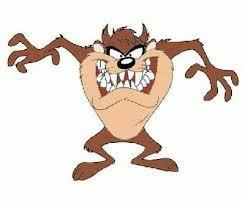 I once dreamed of the Tasmanian Devil ("Taz") cartoon character! I believe this dream came to me to portray my mother's volatile behavior in my childhood in a lighter way. So take a look at your own dreams -- if you were to write a story line featuring a common dream theme of yours, would it be a cartoon, or a soap opera, or slapstick, or a cowboy movie? Can you tease out the meaning that's being conveyed, without getting side-tracked by the story format? If you'd like to explore your own dreams to understand better what they're telling you, consider a Dream Coaching session. Together we can have a lot of fun making sense of even your most confusing dreams. Let me know what you've wondered about concerning vision or dreams or EFT. I'll be glad to write a short article addressing that topic. Thank you to those who have sent me questions, or see a question you asked me in a private session written about here. You're helping many other people! Enjoy these first few weeks of March. I'll write again in a week or so. Take care!